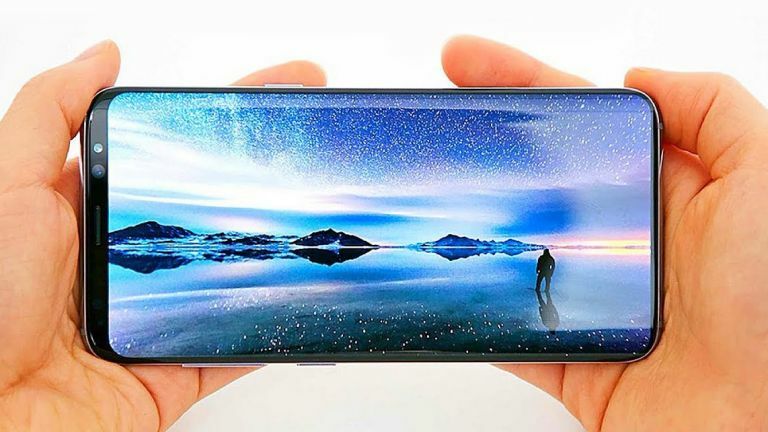 The Samsung Galaxy S10 may feature a truly edge-to-edge screen thanks to a new display tech that turns the screen glass into the phone's speaker. That should mean that the earpiece speaker currently at the top of most phones could be done away with for one less thing to take up space on that top bezel, or in the iPhone X case, top notch. Of course you do still need to put the selfie camera and sensors somewhere, so we're remaining hopeful Samsung has found a solution. Perhaps like the pop-up selfie camera in the Vivo Apex. The rumour comes from a Samsung Display event where a screen was shown off working as a speaker. Dubbed Sound on Display, the 6.22-inch 1440 x 2960 panel was revealed at the annual SID event as a prototype which was configured to work as a phone receiver speaker. It sounds similar to LG's Crystal Sound OLEDs which use the tech in TVs. This new screen speaker could appear on the market as soon as January if Samsung's Galaxy S10 comes sporting the tech and is released early as rumoured.